PT. Indofood CBP Sukses Makmur Tbk (ICBP) was established on September 2, 2009 with a total number of 15,000,000,000 shares. The issued and fully paid capital at the time of establishment of ICBP was 4,664,763,000 shares with a basic share price of Rp100 / share so that the initial equity of ICBP was Rp.466,476,300,000. When it was established, the holders of all ICBP shares were the parent company, namely PT. Indofood Sukses Makmur Tbk (INDF). Some ICBP products that are already very familiar in the midst of society include Indomie brand instant noodles that consumers can get very easily and the price is very affordable. In addition to instant noodles, other ICBP products are kitchen spices and the like. On October 7, 2010, ICBP conducted an Initial Public Offering (IPO) and listed its shares on the Indonesia Stock Exchange (IDX) or offered 1,166,191,000 shares to the public equivalent to 20% of the total issued and fully paid shares. The price of the shares offered at the time of the IPO amounted to Rp5,395 / share, thus ICBP received additional capital from the IPO amounting to Rp.6,291,600,445,000. After the IPO, the number of outstanding shares of ICBP became as much as (4,664,763,000 pieces + 1,166,191,000 shares) = 5,830,954,000 shares with the composition of shareholders namely INDF at 80% and the public at 20%. On July 26, 2016 ICBP conducted a stock split with a ratio of 1: 2, meaning that every 1 share before the stock split was exchanged into 2 new shares after the stock split, therefore the number of outstanding shares after the stock split was as much as (5,830,954,000 sheet x 2) = 11,661,908,000 pieces. Of the total shares, INDF as the parent of ICBP narrowed as many as 9,329,526,000 while the public numbered 2,332,382,000. ICBP Book Value (BV) per Quarter III-2018 (September 30, 2018) totaling Rp1,880 so that the equity is amounting to Rp21,924,387,040,000. Meanwhile, at the same time ICBP's liabilities (liabilities / debt) amounted to Rp11,896,918,000,000 or 54.26% of its equity. Thus ICBP assets per Quarter III-2018 (September 30, 2018) amounted to Rp33,821,305,040,000. ICBP prices at the closing of the last day of the bourse in Quarter III-2018, which is September 28 2018 amounting to Rp.8,825 / sheet, the ICBP market capitalization / market capital (MC) at the same time amounted to Rp102,916,338,100,000. a. Assets (equity + liabilities): Rp33,821,305,040,000. b. Equity (net capital): Rp21,924,387,040,000. c. Liability (obligation / debt): Rp. 11,896,918,000,000. The data above shows that an increase in the initial equity of ICBP was established for approximately 9 years until Quarter III-2018 grew by 4,600%, while assets grew by 7,15050.38%. Now we calculate, how much growth in the growth of INDF wealth in ICBP on the position of September 30 2018 is based on assets, equity and market capitalization compared to the wealth of INDF in ICBP at the time of establishment. With total assets of Rp33,821,305,040,000, the assets of each ICBP share are worth Rp.2,900.15 / sheet, so INDF's assets in the ICBP are (Rp.2,900.15 x 9,329,526,000 pieces) = Rp27,057,042,871,939, 20. After being reduced by initial assets at the time of the establishment of ICBP in the amount of Rp.466,476,300,000, INDF's assets at ICBP amounted to Rp26,590,566,571,939,205, growing by around 5,700.30% for approximately 9 years. a. The ICBP equity amounted to Rp21,924,387,040,000, the ICBP BV amounted to Rp1,880 / sheet, so INDF's assets in the ICBP were (Rp1,880 x 9,329,526,000) = Rp17,539,508,880,000. Then after deducting the initial capital at the time of the establishment of ICBP in the amount of Rp.466,476,300,000, INDF's net capital in ICBP based on equity amounted to Rp17,073,032,580,000, growing by around 3,660% for approximately 9 years. b. ICBP's total liabilities amounted to Rp11,896,918,000,000, the ICBP liabilities amounted to Rp1,020.15 / sheet, so INDF's liabilities in the ICBP were (Rp1,020.15 x 9,329,526,000 shares) = Rp9,517,533,991,939.23. Thus, when ICBP is declared default then bankrupt, the remaining equity of INDF in ICBP is (Rp1,880 - Rp1,020.15 x 9,329,526,000 pieces) = Rp8,021,974,888,060.77, this condition can be said to be "still very healthy ”, in the sense that when ICBP was declared bankrupt (closed) even though INDF did not need to bear the debt. Even if it is reduced by the initial capital placed in the ICBP, its equity will still grow by a number (IDR 8,021,974,888,060.77 - IDR 466,476,300,000) = IDR 7,555,498,588,060.77. At the price at the closing of the last day of the exchange in Quarter III-2018, which is September 28, 2018, the price of ICBP shares is Rp.8,900 per share, then the assets of INDF in ICBP are a number (9,329,526,000 shares x Rp8,900) = Rp83,032,781,400,000 . 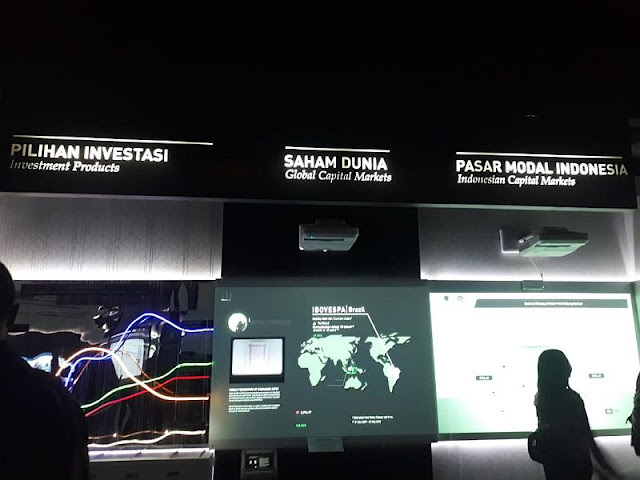 After deducting initial capital at the time ICBP was established amounting to Rp.466,476,300,000, INDF's assets in ICBP based on market capitalization amounted to Rp82,566,305,100,000, growing by 17,700% for approximately 9 years. Of course ICBP is a super company for INDF as the founder. What if viewed from the perspective of a (public) stock investor ?. Because of his perspective from the perspective of stock investors, we will only calculate it based on market capitalization. To see ICBP from the perspective of a stock investor, we will discuss it in the next opportunity.